Every day, thousands of street-side eateries offer up delicious, cheap food in an informal environment on the city’s sidewalks. But street food is about more than just food: it’s about atmosphere and ambiance. 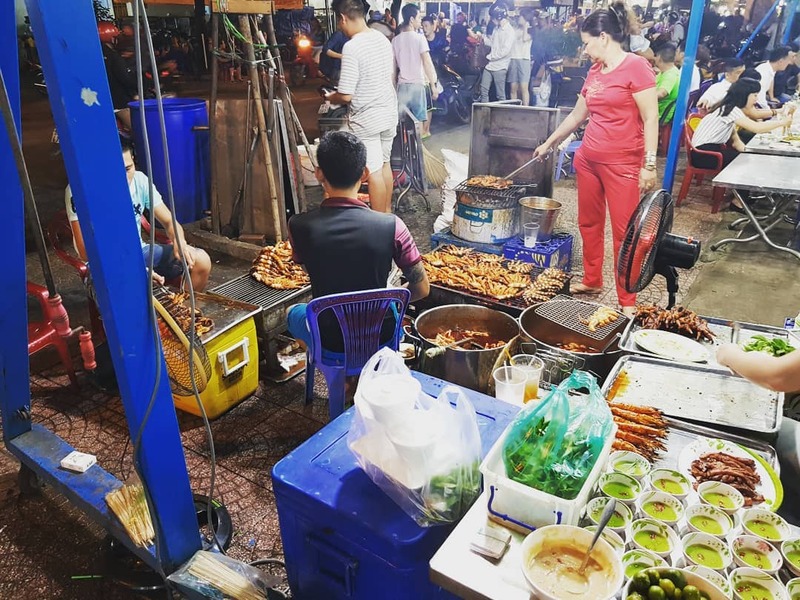 Eating street food is, without a doubt, the best thing to do in Ho Chi Minh City. The street food scene in Ho Chi Minh City permeates through every district, neighborhood, an alleyway. The city boasts so many street food outlets that, at times, it feels like one gigantic, open-air restaurant. District 4 is the smallest district in Ho Chi Minh City with a total of area of 4km2. It’s also the most notorious. Located next to District 1 and acting as a connection to the suburbs of District 7. It’s also well-known as a place to eat seafood. Vinh Khanh is a great place to sample some shellfish as seafood restaurants run all the way down the street. Vĩnh Khánh Street is one of the most popular places for street food in Ho Chi Minh City, especially seafood. Every night young people fill the sidewalks sporting trendy hairdos, tattoos, and the latest fashions from South Korea. The atmosphere is electric: hundreds of small and large groups of friends hunker down at tiny red and blue plastic tables, splitting shells, cracking crab legs, clinking beer glasses and having a really good time. The Street is just about 2.5 km from Ben Thanh Market, you can get here by motorbike in about 10 minutes. 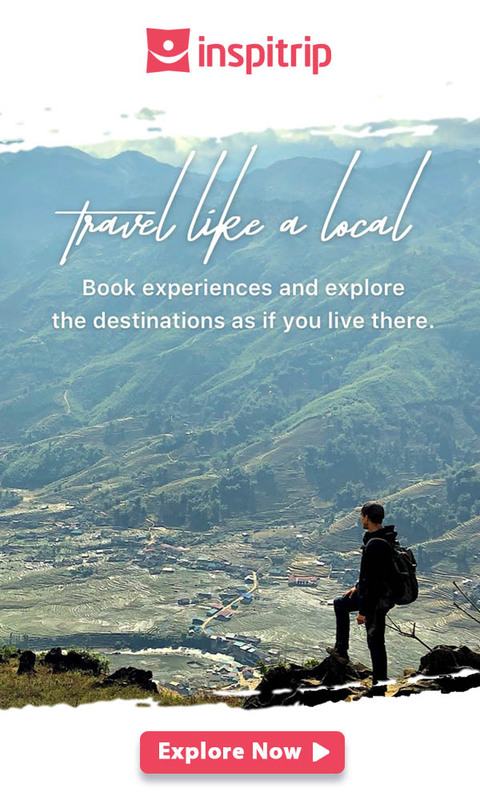 Go to Ong Lanh Bridge, which is the boundary between District 1 and 4, turn left at the end of the bridge and take a right turn to Vinh Khanh Street. The street is vibrant, as if the thundering cacophony of laughter, traffic, and orders being shouted wasn’t enough, some enterprising teenagers pull up on the curbside with giant amplifiers strapped to the backs of their motorbikes and proceed to blast out karaoke for the ‘entertainment’ of all street food customers. Being a coastal nation, Vietnam brings in a lot of seafood. There’s never a shortage of squid, snail, octopus and all kinds of big fish. The first thing you should do is look for some seafood on Vinh Khanh Street. Due to its proximity to the Mekong Delta, shellfish is plentiful in Ho Chi Minh City. Two of the most popular evening snacks served up in the backstreets are fresh crab claws (cang cua) and sea snails (oc). One of the best ways to eat them is grilled over a BBQ and served with a little coarse sea salt and a sprinkling of lime and chili flakes. A common alternative is a sweet and sticky coating of garlic, sugar, and chili, which has been caramelized in pork fat. The national craving for oc dates back centuries. On the menu of many a streetside joints, you will find a near-infinite variation of oc: snails, scallops, clams, oysters and mussels as well as crab, swimming crab, shrimp and in fact as many crustaceans as you can think of. They come from two different sources: the East Sea and freshwater — rivers, lakes and even rice paddies. 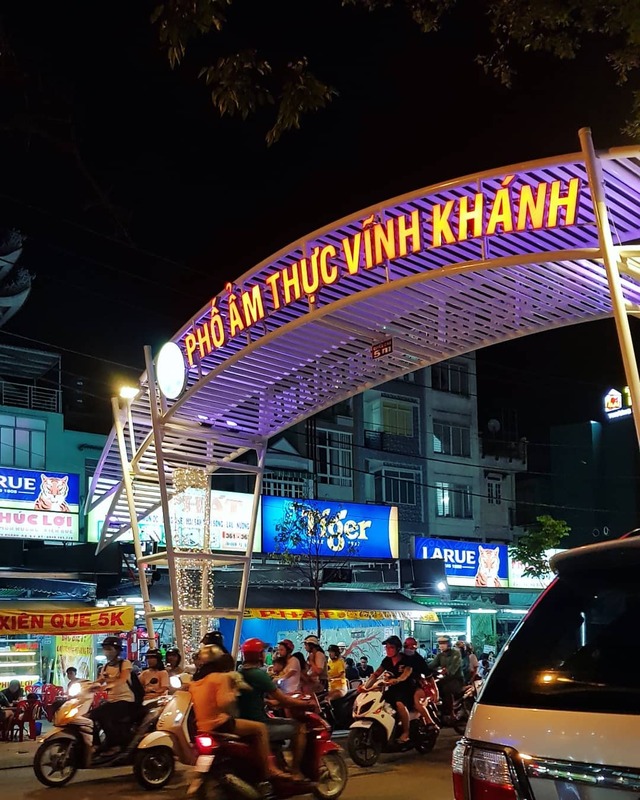 As you venture down Vinh Khanh street you’ll see a vibrant scene: motorbikes driving around, street food vendors, karaoke singers, fire-eaters. If you like oc you’re in luck – both sides are crowded with oc specialists. The most famous and renowned eatery in this category is Oc Oanh, located in 534 Vinh Khanh. You’ll typically have more than 20 different options to choose from, cooked in various styles and served with an assortment of sauces. But the good news is that you will need a lot of them to get full. 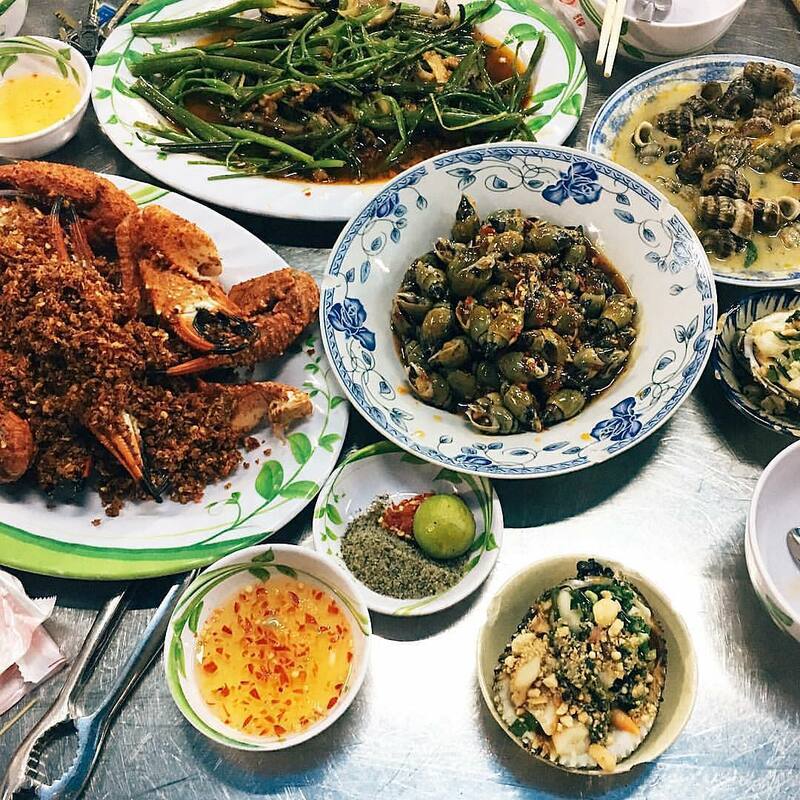 As you dig into snails, crack some shells, drink some icy beer and wait for more food to come, random vendors will offer other snacks to accompany the feast — peanuts, boiled quail eggs, and sour mango. 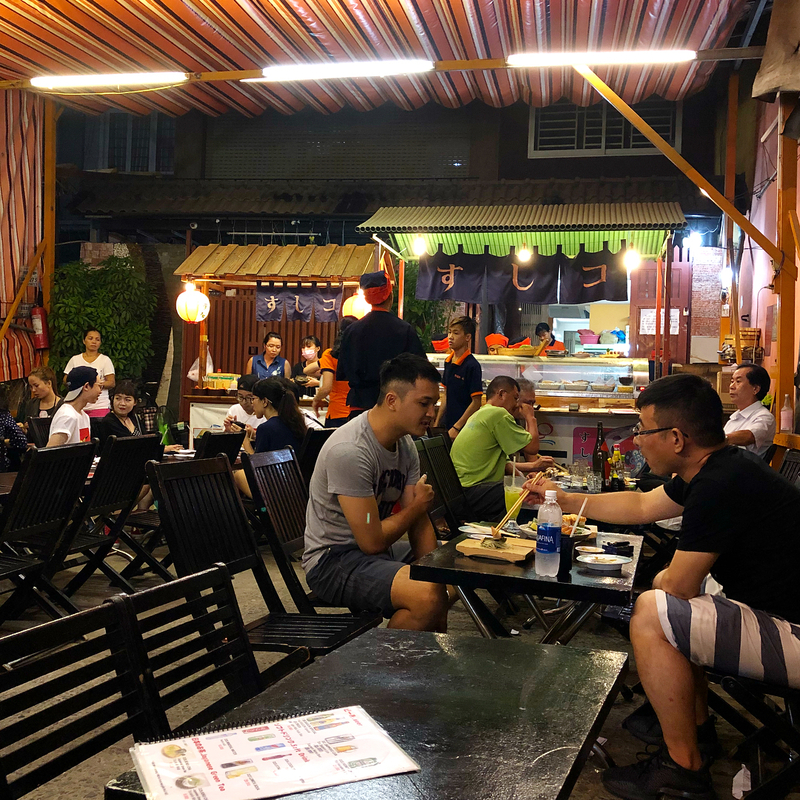 Located at 122 Vinh Khanh street, Sushi Ko has been serving roadside sushi for crowds of young Vietnamese and expats for a couple of years now. While the Japanese wonderland on the north-side of Le Thanh Ton features dozens of culinary options from the Land of the Rising Sun, Sushi Ko matches most in quality and blows them out of the water in terms of price. Sushi Ko is so absurdly cheap that one need not deliberate on the cost of normally pricey items like uni (sea urchin), unagi (river eel) or ikura (salmon roe). The menu has all the sushi stars and also features a few pages of grilled meats (don’t sleep on the chicken hearts), soups and drinks. It should also be noted that a small carafe of hot or cold sake will only set you back about 50,000VND. 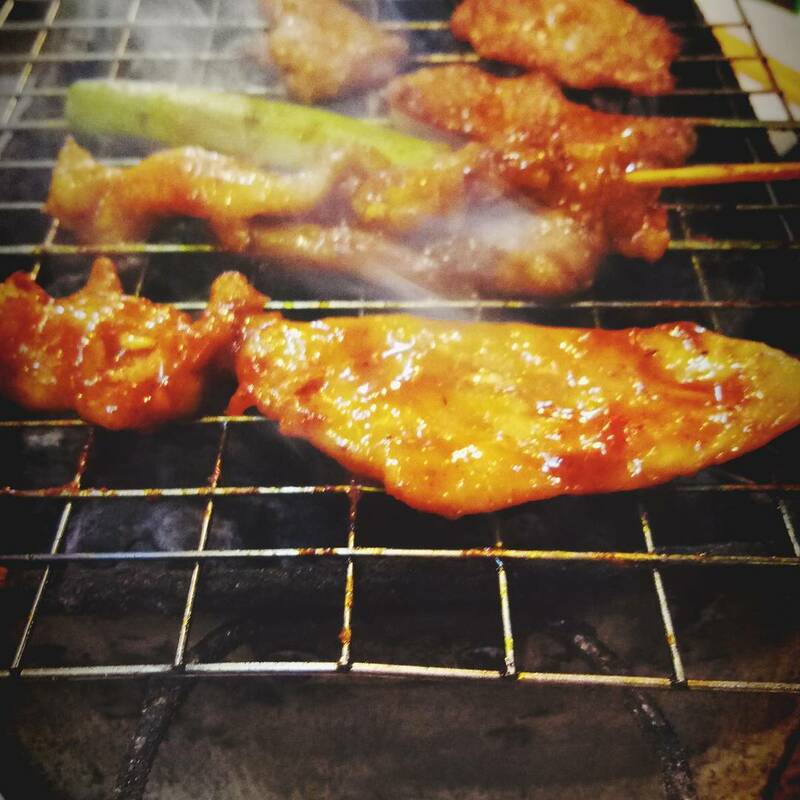 Near the intersection with Hoàng Diệu Street is Quán BBQ Lua (33 Vĩnh Khánh Street). The specialty here is grill-it-yourself barbecued meat. A small coal-fired stove is placed on your table onto which you lay chunks of marinated beef, pork, goat, and fish. The sườn heo ngũ vị (pork ribs in five spice marinade) is delicious. The staff are attentive, the service is fast, and the outdoor seating bbq is great. You’re sitting on a plastic chair with a plastic table bbq and a clay pot grill. The food portion is decent sized and the prices are reasonable. BBQ Lua is a great place for you if you’re not a fan of seafood. 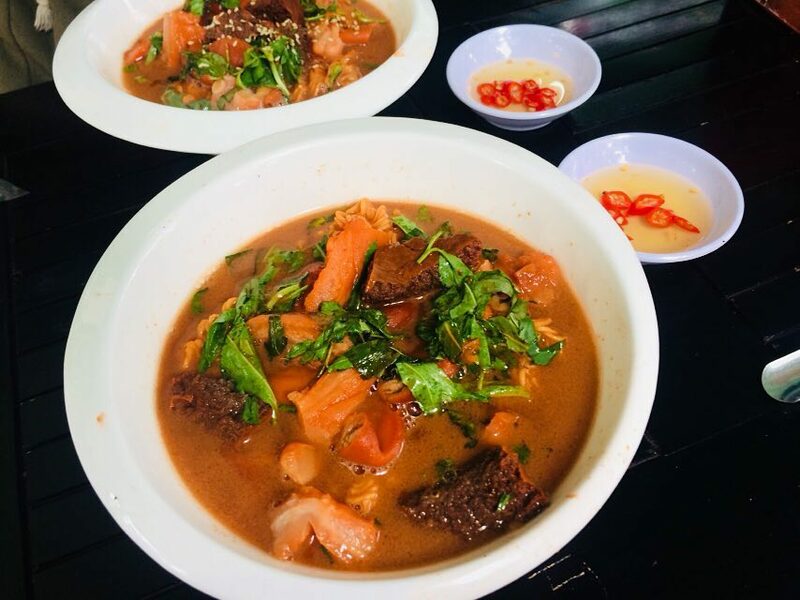 Cow intestine soup is a combination of the culinary styles of the Vietnamese and the Chinese. Instead of throwing away the inner organs of the cow, Vietnamese people use them for more dishes. The cook washes all of the organs many times, using salt and lemon to remove bacteria. Using ginger and wine to remove the bad scent, they then cook it with coconut milk to make noodle soup. Finally, they will chop the kidney, stomach, intestines and heart to serve the hungry pha lau lovers. The texture and taste of the soup goes well with the sweet and sour dipping sauce. On rainy days, a bowl of cow intestine soup with instant noodles or Vietnamese baguette has the magic to brighten up one’s mood. One of the best Pha Lau you can find here is Pha Lau di Nui, located in 240/30 Ton Dan, District 4. Go to Mi Vit Tiem Thuan Hieu, located in 3 Hoang Dieu, District 4. You can try Mi vit tiem here, it is a nutrient-rich dish because the duck meat is stewed with various medicinal herbs. 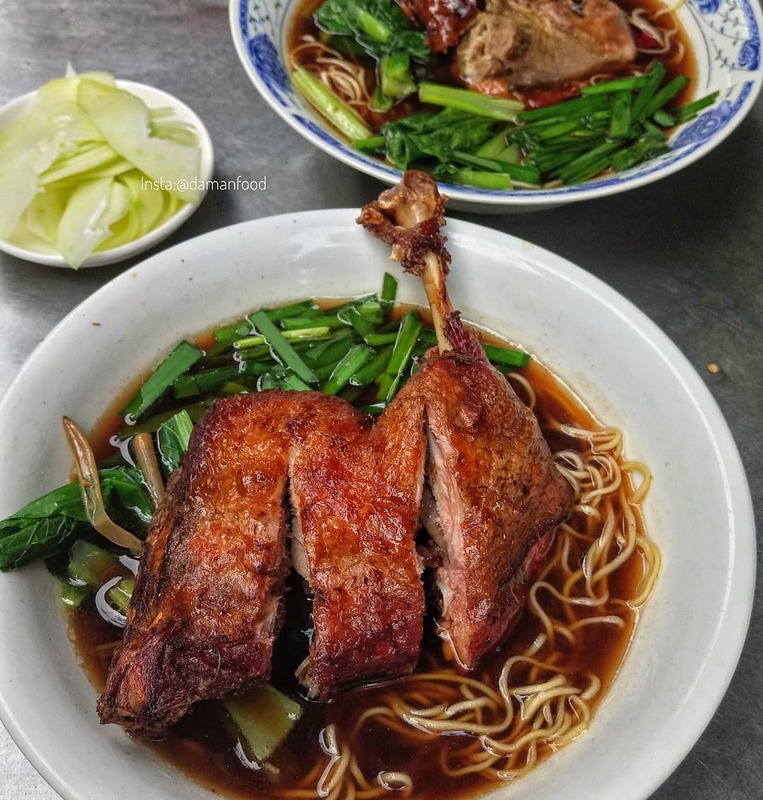 The duck meat is mixed with herbs and spices then fried and stewed, making the meat soft and easy to eat. The noodles are made of eggs and flour; they are long and chewy. The chefs tend to add bok choy to the bowl in order to make the dish greener and healthier. The bouillon has a slightly sweet taste and smells similar to Chinese medicine. 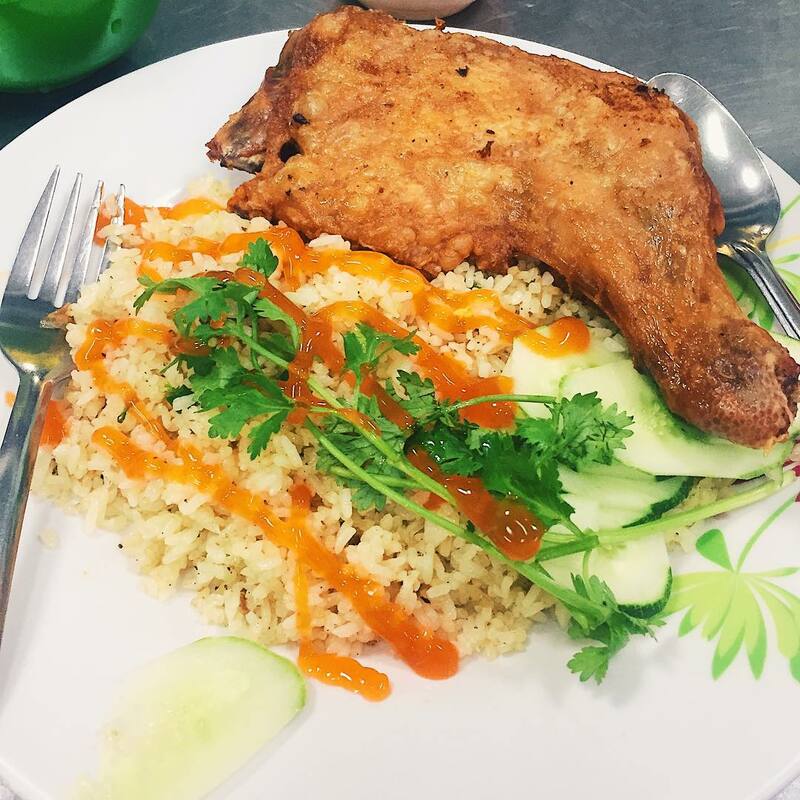 Located in Xom Chieu street, Com Ga Xom Chieu that opens from 10 am to 9 pm will serve the best Com Ga dish ever. The chicken is 90% pre-cooked in an oven, and then finished off with crispy-frying process. Made to order, they’d use a long pair of tongs and toss in a piece of chicken, and let it sizzle on the pouring fountain of hot oil. The plate of chicken that comes out is minimal in its appearance. Just a piece of chicken, the pink colored rice, a few cucumber slices and a couple of sprigs of Vietnamese mint. The chicken’s a little bit crispy and is overall delicious. 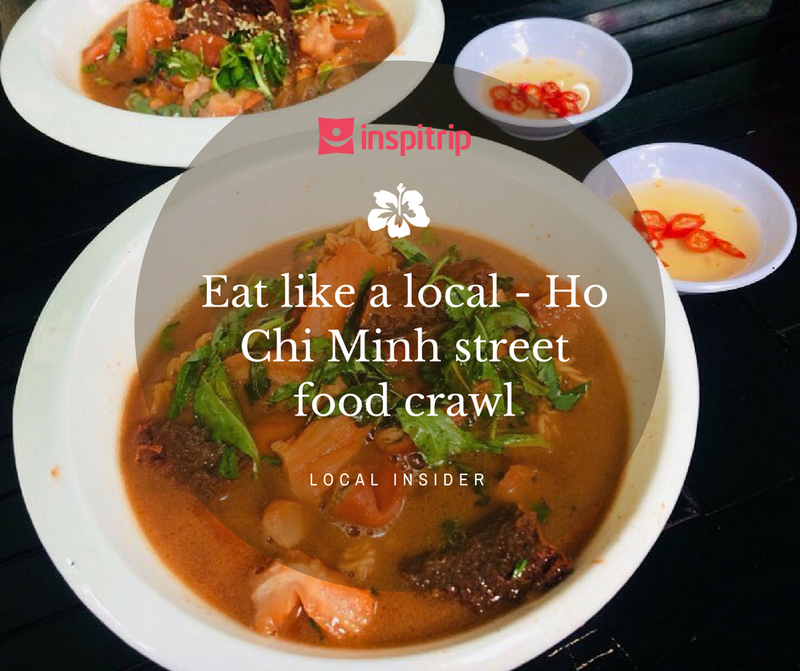 If your tummy is telling you to give it these delicious foods, why don’t you embark on a food journey with Inspitrip around Saigon?